Before I answer that, let’s define average: It’s the best of the worst and the worst of the best; as close to the top as you are to the bottom. In other words, average isn’t exactly terrible. One of the good news/bad news scenarios in our business is that the average agency and the average producer do pretty darn well. When compared to what 95% of working people earn, this is truly a great business. Of course, not everyone has what it takes to be average. To know whether you make the grade, it’s important to (1) recognize the characteristics of the average agency and (2) be prepared to replicate the specific behaviors of the average producer. Here are some pointers for those who aspire to be truly average. Don’t be proactive. The average agency has primarily part-time clients receiving good reactive service. When someone calls in and needs a certificate, has a routine claim, or requests a quote (a practice quote, as I call it), the average agency reacts within a reasonable time frame. Write no more than 1.5 policies per client. While the average personal lines client has about 1.5 policies with the agency, more than 50% have just one policy! Why? No one ever really said that they wanted to protect all of the individual’s assets. Furthermore, the average commercial account has about two policies (if you count the BOP), and only about 25% of clients have all their coverages with one agency. In both cases the low number of policies per client reflects the agency’s practice of order taking versus proactive marketing. Don’t conduct annual reviews. 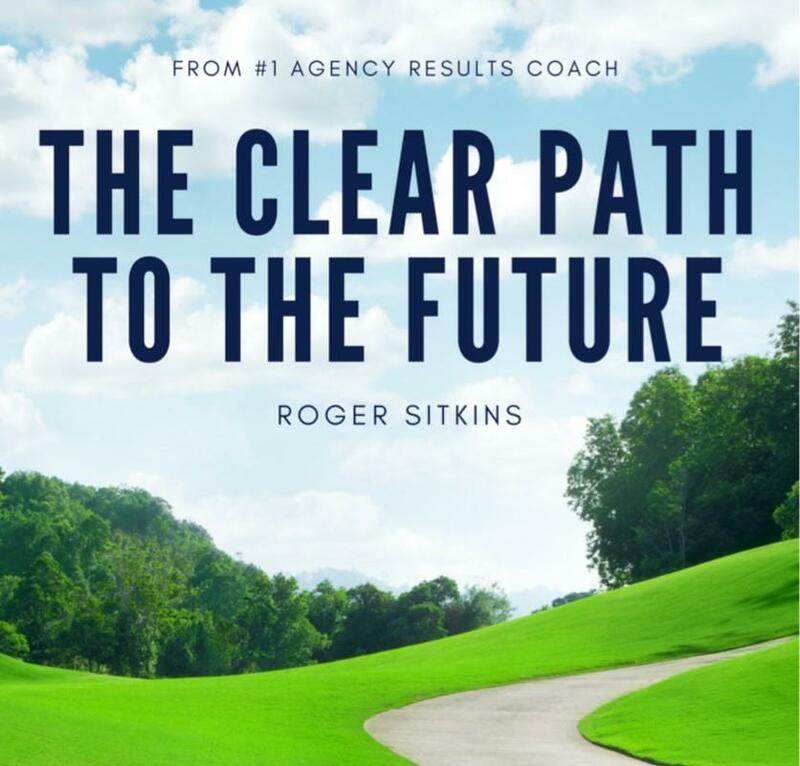 The average agency does not complete an annual review with its A and B clients. Surprisingly, the clients don’t seem to demand it. Instead, the agency waits for its clients to call, which is unlikely to happen if the agency has never conducted an annual review. Don’t conduct up-front risk surveys. Forget about it! The average agency doesn’t do them, and typically its clients don’t know to ask for one. But that doesn’t mean the average agency won’t offer them insurance. In medicine, prescribing without appropriate diagnosis is considered malpractice. In the insurance business, however, failing to diagnose a client’s risk only means there’s an E&O claim waiting to happen. Since that’s hardly a matter of life and death, the average agent isn’t too concerned. Never ask for referrals. Earn and ask for referrals? No way! Not in the average agency. What’s more, the average agency doesn’t waste time wondering why 85% to 90% of its clients renew every year and yet fewer than 10% refer. The agency isn’t about to ask for a referral, nor is it likely to consider whether it’s wowing its clients sufficiently to garner an unsolicited referral. Keep your pipelines dripping. In a speech I made to a group of agents several years ago, I asked the audience who their prospects were. An attendee in the front row was exceedingly honest when he replied, “I don’t know; they haven’t called me yet.” Aggressively waiting for the phone to ring or your computer to ping is not a great way to fill up your pipelines. Most agencies’ and producers’ pipelines are dripping at best; certainly they’re not overflowing with more opportunities than time! Those who do have pipelines fill them with suspects and prospects. No Future Ideal Clients in there! If you’re an average agency, you’re already aware of the endless opportunities for providing unpaid consulting and countless practice quotes. Have part-time producers. Almost every average producer I’ve met has made sales a part-time job. Remember The 12% Factor? It states that out of the 168 hours in every week, 40 hours are spent at work, or 24% of the week, and 20 hours of that time are spent face to face with clients, future ideal clients and centers of influence, which is 12% of the week. Every time we bring this up at an event, producers are amazed to discover how little time they spend personally interacting with clients and so-called prospects. In fact, whenever we ask how many in the audience have averaged 20 hours in the last week/month, it’s rare for even one person to raise a hand. That’s because most of them spend the majority of their time hiding behind the service trap and other unproductive activities. 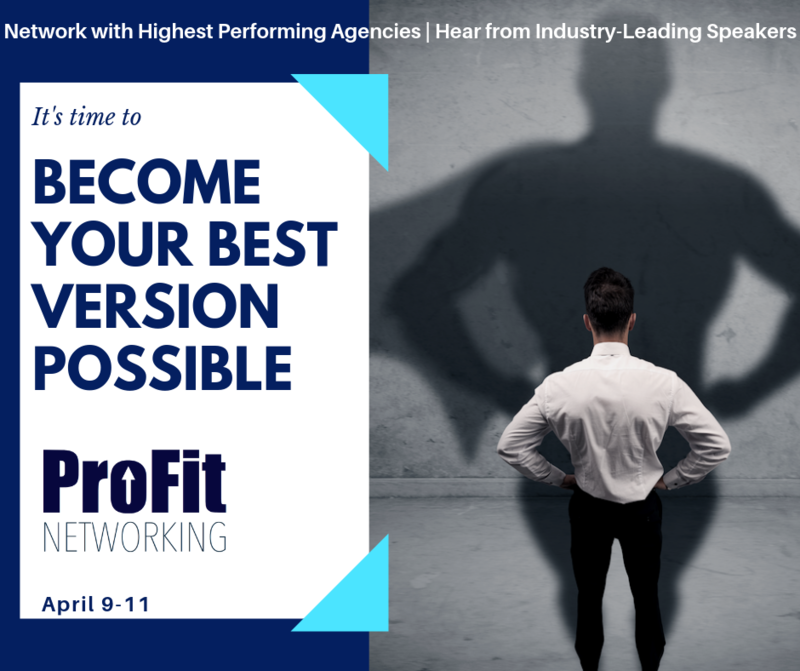 Historically, we’ve observed that the average producer in the average agency spends only about 10 hours a week face to face with clients, prospects and centers of influence. That’s only 6% of the total week. Keep it up, and you’ll preserve your status as a part-time producer. Do not practice! Oh sure, you can be one of those agencies where it’s all about being relentlessly prepared for every opportunity. But it’s a whole lot easier to be average. For average producers, practice is unheard of. They don’t bother to work on their sales skills or rehearse presentations before meeting with prospects and clients. They wait until the live event to practice and then hope for the best (i.e., an average outcome). If your goal is to continue achieving average results, keep winging it. Underuse automation. The average agency does not make the most of its agency automation system and technology in general. Angela Adams, president of Angela Adams Consulting and my content partner in The Better Way Agency program, says she and her team have found that average agencies use only about 25% of their automated system’s capabilities. That’s like paying an employee 100% of wages for doing 25% of the work! But that’s typical of the average agency. The average agency will invest in the latest high-tech system and provide some initial training, but it never maximizes its use of the system’s features. Typically the agency still employs service people who answer the phone, talk with the client, write the information on a piece of paper and then later, when they have time, they’ll enter it into the automation system. One and done? No way! In addition, do not join, or become active in, your automation system’s user group. No sense communicating with and learning from other agencies that use the same system and face the same challenges. Ignore The 80/20 Rule. Even though it has been recognized since 1896, the average agency has yet to fully embrace The 80/20 Rule. As a business rule of thumb, The 80/20 Rule states that 80% of a company’s revenue is generated by 20% of its customers. Yet every time we discuss the rule in a presentation, we get the same reaction: “That really sounds good, but that’s not my agency/my book of business.” I’m sorry, but literally thousands of studies show that this concept is not only valid but also is applicable to almost every aspect of life. For example, 20% of what you do brings you 80% of your happiness. It’s pretty simple: Figure out what that 20% is and do it 40% of the time! Because the average agency never looks at The 80/20 Rule, however, it’s also blissfully unaware that the top 5% of its clients generate 50% of its commission income and the next 15% generate 30% of commission income. If the agency dug even deeper and took a look at its top 2% of clients (the Super A accounts), it would see that they generate 33% of agency revenue while the bottom 50% generate less than 10%. Allow profitable accounts to subsidize unprofitable accounts. 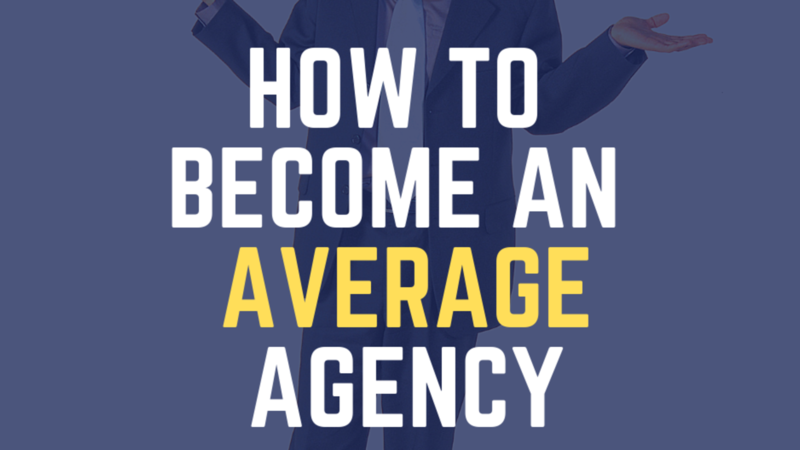 This will definitely help you maintain your status as an average agency. If today’s average agency lost the top 5% of its accounts and received no profit sharing or contingency income, it would soon be bankrupt. It’s pretty simple when you think about it: Without the top 5% of your clients, you’d have only 50% as much revenue, but you’d still have 95% of the clients to service! So go ahead and ignore the fact that you have profitable accounts subsidizing unprofitable accounts. You’ll definitely be average. Don’t worry about operating profit. The profit-earning potential on core operations is marginal at best in the average agency. Thank God for investment and contingency income. Without it, the average agency would be losing money (or the owners would be taking home a ton less). But don’t worry about it. You’ll continue to have contingency income, and the stock market will probably be okay for a while. Keep guessing about your Key Performance Indicators. While the best agencies we work with always know—and never guess—their KPIs, there’s a lot of guessing going on at the average agency. When asked about basic stats like operating profit, revenue per employee, revenue per producer, closing ratio and retention rate, most agents will answer, “It’s about …” or “I think it’s …” Those are average answers. Just keep guessing! Don’t waste your resources on training. You’ll be in good company because most agencies spend only about 0.25% of their revenue on employee training, whereas the most profitable professional services companies invest 2% of their revenue in training. When you think about it, little training and no practice is a heck of a way to run a sales and service organization. But we’ll still do okay! Don’t hold people accountable. The culture of holding people accountable to do what they say they’ll do is nonexistent in the average agency. The next time you go to a one-day training event and get excited about all the great new ideas you’ve brought back, your team will say, “This too shall pass,” and they’ll be right! Choose random sales goals. Sales goals at most agencies appear to be numbers pulled out of a hat. They’re arbitrary figures chosen at the start of each year: “Okay, we’ll all do $100,000 this year.” Even if goals are clearly defined, fewer than 50% of producers will meet or exceed them. They’ll know for sure when they review the results at the Christmas party. The process repeats when they throw a dart and discover their sales goal number for the new year. Schedule—but don’t hold—sales meetings. 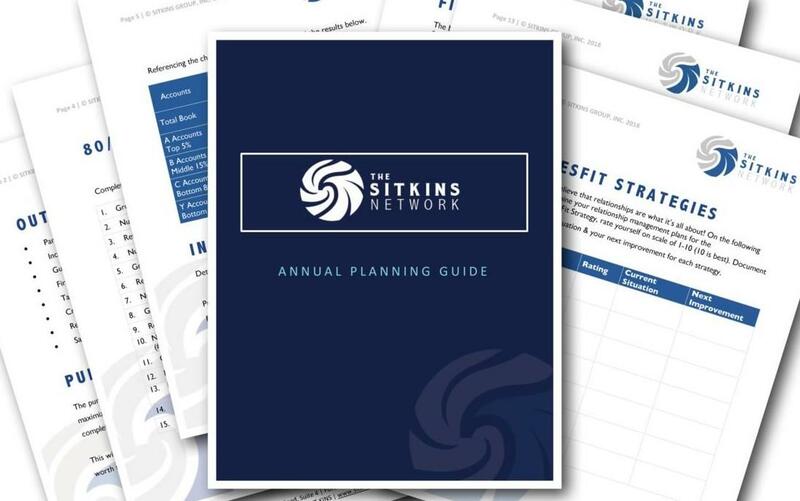 It’s important to schedule regular sales meetings, although they will rarely take place. If they do take place, don’t do anything that relates to improving sales. Instead, make sure that everyone sits around and complains about the service staff and insurance companies. Renew accounts “as is.” Rather than build relationships, average agencies renew accounts. Renewals are always a big deal, at least with the top 20% of accounts that generate 80% of revenue. For most of the bottom 80% of clients, the “renew as is” approach is sufficient. There’s no need to identify coverage gaps or update insurable values. At least 85% to 90% of accounts will renew anyway. (If not, we need to talk.) Maybe hope isn’t such a bad strategy after all! Represent as many carriers as you can. If you want to be average, you must learn to spread the wealth among as many carriers as possible, even though The 80/20 Rule applies. (If you don’t believe it, take a look! You’ll find that the top 20% of your carriers generate 80% of your commission income and a substantial percentage of contingency income.) The average agency knows it needs to dramatically reduce the number of companies it represents and focus on the vital few versus the trivial many. But most will not, no matter how much money it’s costing them to have too many carriers. If you want to go through life being average (which would be an improvement for 50% of agencies), that’s your choice. 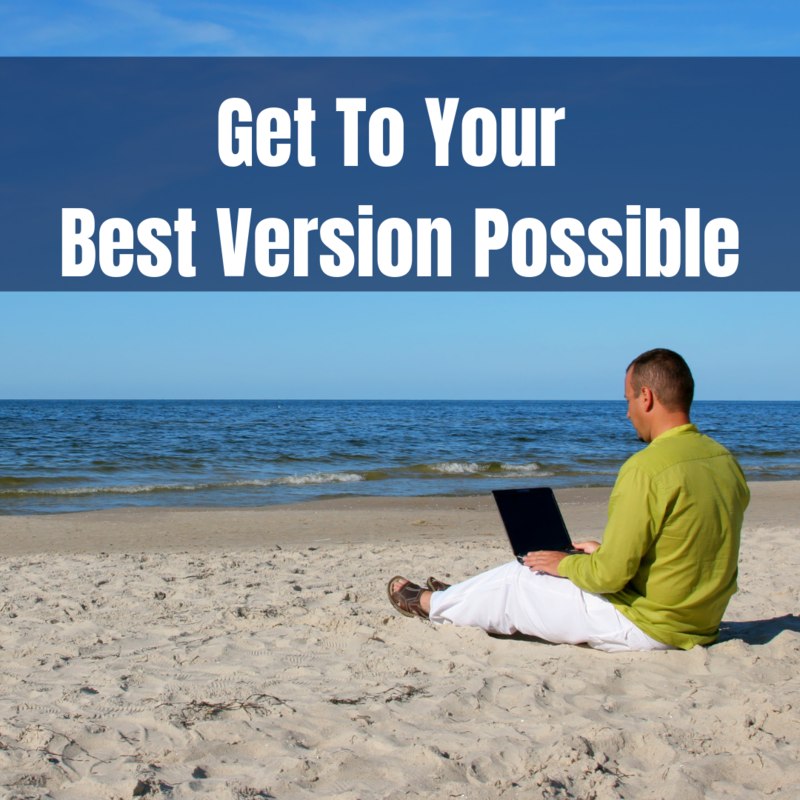 But if you want to become the Best Version Possible, look at what the average agency does and don’t do it! Use the average as your anti-model for 2019 and beyond, and you’ll reap rewards, not regrets.